This really is a great "forgotten" Motown album. It is quality from start to finish. 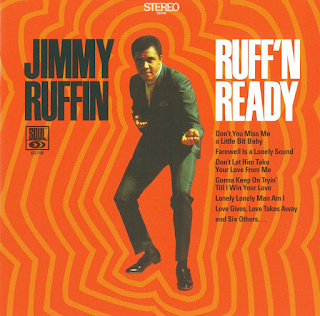 Some prefer Ruffin's previous album "Jimmy Ruffin Sings Top Ten", but, for me, it is this one all the way. The previous one has three great hits on it, but I feel the remainder of this album is better. The album starts with the energetic, melodic "Don't Let Him Take Your Love From Me" with has a thumping beat and a killer vocal from Ruffin. Some pounding drums, sweeping Motown strings and a wonderful Temptations-esque vocal from Ruffin give us "Don't You Miss Me A Little Bit Baby". The sound is great on this - full, powerful, defined bass stereo. There is a floor-shaking bass solo half way through backed by some seriously groovy percussion. Another great Norman Whitfield/Barrett Strong in "Gonna Keep On Tryin' Till I Win Your Love" completes three killer songs from these two mighty songwriters. This material is up there with the stuff they gave to The Temptations. 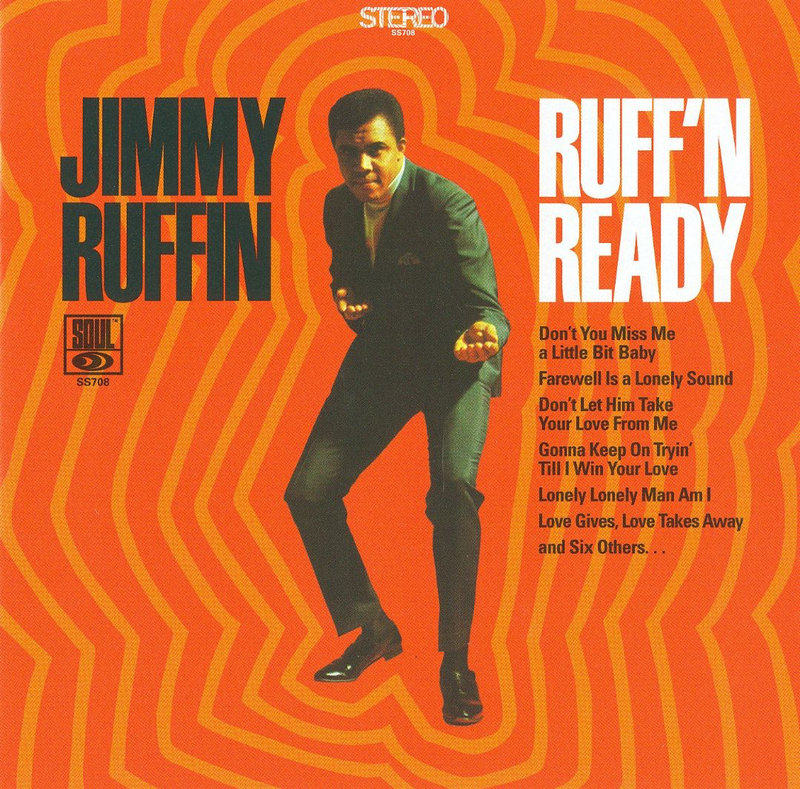 The Tempts, at the time, were doing Whitfield's "psychedelic" material, so the romantic stuff went to Jimmy Ruffin. The songs are seriously good. "Farewell Is A Lonely Sound" is just three minutes of Motown Heaven. It is well known by many by now. No need for further comment from me, apart to say that Ruffin's voice never sounded better, yes, it equals "What Becomes Of The Broken Hearted". The Northern Soul-ish "Everybody Needs Love" was an Eddie Holland/Norman Whitfield composition with echoes of 1966-67 Motown as opposed to 1969. It still sounds great though. "96 Tears" is an organ-driven thumper of a song with a massive drum sound. "It's Wonderful (To Be Loved By You)" was another hit single that needs no real introduction. Songs like this are just timeless. I can't get enough of them. The same applies to "I'll Say Forever My Love", which has an addictive, hooky refrain. "Sad And Lonesome Feeling" has a mighty, bassy rhythmic groove. I have to say the production and sound on this album is truly superb. "Love Gives, Love Takes Away" is just glorious too - uplifting, infectious. There is seriously not a bad track on this album. "You Got What It Takes" revisits Marv Johnson's 1959 hit and is the only track that could be considered "filler", although Ruffin still just a great job on it. "Lonely Lonely Man Am I" dates back to The Temptations' 1966 "Gettin' Ready" album. Again, Ruffin handles it more than convincingly. A truly excellent album.